A ban on businesses charging customers excessive surcharges for using credit and debit cards is a good thing for consumers and for ethical business practices, according to the owner of a Canberra cafe. The ban comes into effect today and means that businesses will only be able to charge customers what it actually costs them to process payments, including bank fees and terminal costs. The Australian Competition & Consumer Commission has been given new powers to enforce the ban which restricts the amount a business can charge customers for using EFTPOS (debit and prepaid), MasterCard (credit, debit and prepaid), Visa (credit, debit and prepaid) and American Express cards issued by Australian banks. “I think that’s totally fair,” said the owner of the Coffee Lab in Civic, Arthur Choi. Mr Choi said the ban won’t impact his business as they don’t charge their customers surcharges for using credit and debit cards anyway. “Regardless of what regulations and policies there are in place, we actually don’t pass on the surcharges to the customers,” Mr Choi said. He said that his customers only get charged the prices that are written on the menu and nothing more. Mr Choi said that it is fair enough if business owners do decide to pass on the processing costs but they should only pass on their costs and customers “shouldn’t be exploited”. 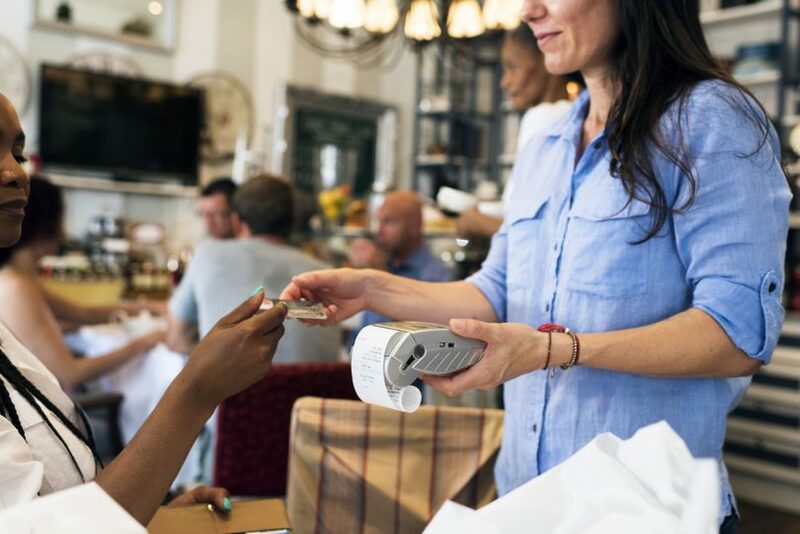 The ACCC said that the excessive surcharging ban has applied to large businesses since September last year but from today extends to all businesses that are either based in Australia or use an Australian bank. “The good news for consumers is that businesses can now only surcharge what it actually costs them to process card payments, including bank fees and terminal costs,” said ACCC Deputy Chair Dr Michael Schaper. “For example, if a business’s cost of acceptance for Visa Credit is 1.5 per cent, consumers can only be charged a surcharge of 1.5 per cent on payments made using a Visa credit card. Dr Schaper said that if businesses want to set a single surcharge across multiple payment methods, the surcharge must be set at the level of the lowest cost method, not an average. He said that, for example, if a business’s cost of acceptance for Visa Debit is 1 per cent, for Visa Credit is 1.5 per cent, and for American Express is 2.5 per cent, the single surcharge would be 1 per cent as that is the lowest of all payment methods. “Our advice for businesses wanting to set a single surcharge regardless of the type of card their customers use is it must be the lowest of all the payment methods. You can’t use an average of all payment methods or you will land yourself in trouble,” Dr Schaper said. He said that businesses should have received merchant statements from their financial institutions in July setting out their cost of acceptance for each payment method. “The RBA indicated as a guide that the costs to merchants of accepting payment by debit cards is in the order of 0.5 per cent, by credit card 1-1.5 per cent and for American Express cards around 2-3 per cent,” Dr Schaper said. Have you ever been hit with an excessive surcharge? What was your reaction? Do you think the ban on excessive surcharges is fair or do you think it is too hard on businesses? Let us know your thoughts in the comments below.